You have such a short amount of time (reportedly just 6 seconds!) 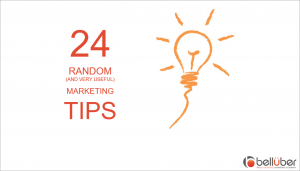 to grab a visitor’s attention before they move onto another website in their search results. An important way to entice them immediately is by highlighting your unique selling points on the homepage. It’s important that your homepage shows the visitor straightaway what you offer and how you can help or benefit them. The page URLs need to have relevant keywords/phrases in them, e.g. about-us could be ‘about-typeofcompany-location’ so the URL could be www.yourwebsite.com/about-business-coach-london which would help you appear higher in results when the search term ‘business coach London’ is entered. Not only should you have links to your social media pages on your website, but these should be high up the page – ‘above the fold’. This enables you to view your site statistics. It provides the number of visitors, where people on your site came from, and more. If you want to improve your marketing and get more visitors, your website needs to be visible on as many platforms as possible. Tracking your visitors and where they come from is critical in knowing what marketing tools work. These are codes in the background of your page containing words and sentences that search engines can read and display in results. 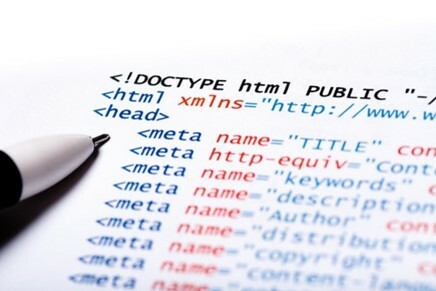 People often put loads of keywords in the code hoping that Google will then place them in a higher position. But Google is cleverer than that. Title and description tags are vital as these are what is shown for your page in search results. These need to stand out from your competitors and grab the attention of the people searching. Think about the words your target market will enter into search engines – anything they might want that you provide. Ensure the content of your site includes these keywords and phrases. For example, if your target market includes businesses and you give advice on cash flow, think about what a business owner might enter into a search engine to find advice on that topic and make sure that phrase is within your content. Many websites that we have redesigned have had too many colours and fonts! The colour scheme needs to be simple and consistent. Links/buttons should all be the same colour to help visitors become familiar with navigating around the site. 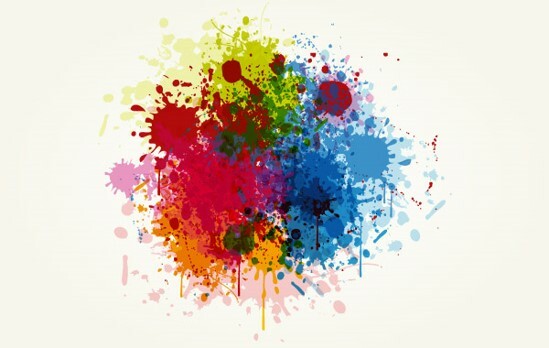 Don’t use more than 4/5 colours in the site’s main content or it will look untidy and unprofessional. Avoid using those cheesy stock photos on your website. There are websites where you can download great quality royalty-free images that look professional which include Pixabay and Unsplash. Around 50% of website visitors are via mobile phones. Your website should be able to adapt in size for a mobile or tablet. 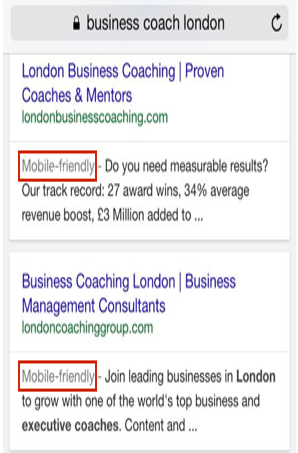 Google are now giving mobile-friendly sites priority positions in search results performed on mobiles, as you can see in the image. The labels on your navigation need to be clear and concise, as well as relevant to what the pages are about. They should also be enticing – for example instead of ‘Blog’ it could say ‘Free Advice’ and instead of ‘About Us’ it could say ‘Get To Know Us’. A great way of keeping your website updated regularly is by having a blog. It will also show that you’re an expert in your industry; building the ‘know, like and trust’ with your potential clients. Blog posts could be top tips, ways to avoid something, etc. These need to include keywords that your target market are likely to enter in search engines. 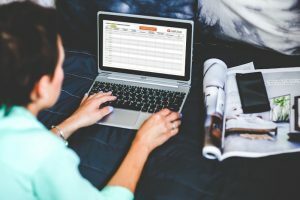 This is a simple way to keep track of how people filling in your forms on your website heard about you, to see which advertising methods are most effective. On every page of your website there should be clear calls to action to encourage visitors to take the next step in your sales cycle, whether you want them to subscribe, contact you or make a purchase. Saying how great you are is one thing but having other people say it is so much better. Case studies and testimonials can show how you have helped other businesses. It’s all well and good knowing what needs to be on your website to make it most effective, but do you know how to implement these features so they can be most beneficial? At Belluber we do this for many different businesses – if you would like us to review your website and give you a personal list of recommendations that apply to your business and target market, please get in touch. Download this whitepaper for useful marketing tips that you can implement into your business immediately. With nearly three million Facebook likes, more than seven million followers on Twitter and nine million followers on LinkedIn, Richard Branson joins Elon Musk and Mark Cuban as one of the most prominent entrepreneurs on social media. He follows several social media best practices that elevate him to the top of the pack. Success on social media goes well beyond likes and follows. Use these four practices to establish leadership, drive leads and create relationships on social media. With over 890 million people signing into Facebook every day, most of your potential customers are likely to be part of Facebook’s community. But throwing money at Facebook ads to bring people to your page and website only works if you’re smart about it. Social media is one of the top ways to market your business. It produces almost double the marketing leads of trade shows, telemarketing, direct mail and PPC. According to adweek.com, 74% of brand marketers saw an increase in website traffic after investing 6 hours a day on social media. The increase in use of social media means that us business owners need to be in sync with the latest developments, and here are some important tips to taking advantage of this fact in the best ways. Nobody has a concrete answer to exactly where social media is heading this year. But there are some hints and clues that we have picked up on as to what the future may look like. Here are some of social media’s biggest platforms, where they’re heading to and what trends to look out for this year. Facebook continued to grow and develop in 2016 with the launches of Marketplace, Reactions and Facebook Live. We know that this platform throughout 2017 will carry on keeping up to date with the major social media habits and developments. Mark Zuckerberg revealed in a report that Facebook now sees a whopping 2 billion searches per day, a growth from 1.5 billion a year ago. With 3.5 billion searches per day, Google still leads the way. However with Facebook showing such a massive growth, we could soon see it pursuing the ad dollars traditionally reserved for Google. Search could also drive attention to the content you post on Facebook, becoming a key part of increasing your reach on there. You may have already noticed Facebook’s Masquerade feature – where people can use lenses and masks whilst sharing live video or having video chats. The trend of Facebook videos will continue to grow through the year before we hit the peak and videos become less effective. 30% of marketers say Facebook video is the top channel they want to add to their marketing tactics in the next year. 83% also said they would want to create more video content if they didn’t have time and resource restraints. Twitter is also looking into adding a new “hateful conduct” reporting option. This will change its policy regarding how it deals with people who share abusive language. This development may not be a marketing trend, but it’s something worth knowing about to see how Twitter makes the platform a more inclusive and welcome place. So Twitter wants to be the home of what’s happening and what everyone is talking about globally. Through Periscope, we may see Twitter focus on more live streams and trending videos. For business owners and marketers, this could mean a lot of conversation around the events Twitter broadcasts live, something that can open up opportunities for reactive content and adverts related to the events that are broadcasted. Recently, Twitter had greatly focused on enhancing customer support for both brands and their customers, announcing new customer support features to make the process smoother. Providing the best support has become a priority for many businesses in the last few years, and we believe Twitter is looking to give its business users even more opportunities to improve the experience during this year. 2016 was an incredible year for Instagram. Now owned by Facebook, it has hit 500 million monthly users and had some key product launches. These include Instagram Stories and Business Tools. Instagram launched 24 hour Snapchat-style stories in August 2016. These have already evolved, as Instagrammers with varied accounts can now share links through Instagram stories. It is currently a test for verified Instagram accounts, but hopefully this will grow into becoming a feature for all users. Although Business Tools hasn’t been one of Instagram’s biggest feature releases of 2016, it’s still definitely one to watch. Instagram worked with lots of businesses to learn what was needed to improve their Instagram experience, and the key needs were standing out: get insights and find new customers. The release of Business Tools brought business profiles, analytics and the ability to create adverts from posts in the app. This year we’re likely to see business profiles and tools continue to develop to make it easier for businesses to drive traffic from their Instagram profiles. Instagram wants to become the place “to capture and share the world’s moments,” so the release of stories has helped to encourage people to share more in-the-moment, Snapchat-style content to Instagram. Facebook really went in on live video in 2016, so it’s no surprise that Instagram is currently testing live video too. Snapchat is a platform that is constantly developing, including Snapchat Memories where users can share photos and videos captured outside the app. They are also providing more filters that relate to trending news. In 2016, Snapchat allowed businesses and people to create and sponsor their own Snapchat filters in a chosen location. This year, we think Snapchat will enhance targeting and analytics for its advertisers. Snapchat and Foursquare have already announced a deal to put more data into their filters so marketers can pinpoint where their ads are served. This means advertisers can be much more specific with where their filters will be available. Snapchat have made tech-filled glasses cool, something that Google and other companies have failed. Spectacles are a fun product, mainly aimed at Snapchat’s core teenage audience. Because they’re scarcely available, it’s Snapchat’s own users and not the media who are spreading the word about Spectacles. It’s making Snapchat users across the world want a pair. It will be interesting to see throughout 2017 how Spectacles are used and how Snapchat looks to evolve this product. As well as Spectacles, Snapchat also announced a new circular video format. Spectacles can record with a 115-degree field of view, similar to the human eye. On any device you’re viewing on, you can see the content full screen in any orientation. The argument of whether video should be recorded and shared in landscape or portrait is solved. As more and more people consume videos on mobile devices, circular video could become the norm. Microsoft acquired LinkedIn for $26.2 billion in June 2016. Being the only professional-focused social network at a big scale, LinkedIn is a very unique asset for Microsoft. It’ll be interesting to see how LinkedIn evolves under Microsoft. In March 2016, Pinterest introduced Promoted Pins to all businesses. If you’re looking to put your business on Pinterest this year, Pinterest Ads and Promoted Pins could be effective. Data also shows that advertisers who use the Pinterest Ads Manager received an average of 20% more (free) clicks in the month after the start of a Promoted Pins campaign. In just 2016, the top 100 advertisers have increased their spend by 50% on YouTube video adverts. That statistic shows the power of video for marketers and advertisers. There has been growth in brands teaming up with creators on branded content opportunities. This includes promotions, sponsorships and product placement. Google acquired Famebit – a technology platform company that helps brands find and work with each other. This year it’s likely that we’ll see creator and brand partnerships grow even more on YouTube and other networks. Use this template to create a full schedule of activities for marketing your business over the next 3 months. People say that brands that are visually appealing, such as food and beverage businesses or companies in the fashion industry are the only way you can succeed on Instagram, one of the most popular social media platforms. I think they’re wrong. Not having a visually appealing brand doesn’t mean you can’t get involved with Instagram. 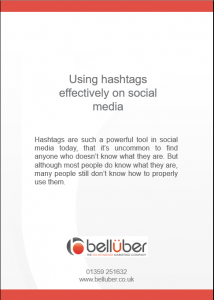 There are plenty of ways that your business can benefit from using this platform, especially with the use of trending topics and hashtags. Twitter has made a big change to the way tweets work: longer tweets are here! Last month, Twitter cut back on what types of content will use its 140-character limit. Now, media attachments (e.g. photos, videos, GIFs and polls), quoted Tweets and @names in replies are no longer counted against the 140 characters that make up a tweet. This means people can attach media to tweets without sacrificing characters, and it’s made public conversations a lot easier. Media attachments: A URL at the end of Tweets is created from attaching media files, and will not count towards the character limit (the URLs in the Tweet will be counted towards the character limit as they do today). Replies: When replying to a Tweet, @names won’t count towards the 140-character count (this update is yet to be rolled out). Retweet and Quote Tweet yourself: You can now Retweet or Quote Tweet yourself if you feel like a good post went unnoticed. No more “. @username”: New Tweets that begin with a username will now reach all your followers (meaning you will no longer have to put the “.” before the “@username”, which is what people had been doing to broadcast Tweets broadly. One great benefit of this update is that @names will no longer count against your characters. This opens up more space to provide additional text that might have taken a couple of tweets previously. If you’re responding to a customer query, you could share your reply in 140 characters but also add a GIF or image saying “Thank you for contacting us”. Studies show that visual and media attachments on tweets are a great factor in boosting engagement and retweets. One study by Twitter found that photos average a 35% boost in retweets and videos get a 28% boost. It has been hard to convey your message in your tweet text in 140 characters when also including a media attachment. But now, Twitter users can utilize the full 140 characters and still include media. For business owners and marketers, this means more opportunity to include stunning visuals, product demo videos, and more. It’s common to break up a tweet into a couple of sections to completely elaborate and share thoughts. But with Twitter’s quote option, you can share two tweets that are intertwined and easy to follow – meaning users won’t have to visit your profile or scroll through their timeline to see the first part of your tweet. How does this work? Just post your first tweet, and then quote that tweet and add the rest of your message in the 140 characters available to you in the second tweet. Twitter is all about conversing and connecting with others. One of the biggest factors in this update is that we can fully embrace the 140 characters available to us, giving us the opportunity for better conversation. At Belluber we have set up and run Twitter profiles for lots of different types of companies. If you’d like to find out more on how we can help your business, get in touch. Your news feed will now favour stories that are “personally informative”; determined by your own actions. What is your relationship with the person who clicked on it? What do you click on, comment on, and share? This adjustment could bring back some of the reach and engagement that news and media companies lost during other news feed changes. Facebook has officially announced improved control over the ads you see. You can now view what interests advertisers can use to target you with ads via your ad preferences. You can remove or add interests to improve the relevance of ads you see. This does not mean that users can completely opt out of ads, it just means they have more control of what ads they see. If you aren’t aware, software like Adblock Plus has been created for people to add a plugin to hide ads from their newsfeed. This certainly affected Facebook’s revenues, but it also impacts the advertisers who leverage its audience to drive their business. Within two days, Adblock Plus came up with a workaround – although Facebook immediately addressed it. This is like a cat-and-mouse game between the two companies, but one where Facebook is the cat. How does this affect advertisers? Well if Facebook is successful, it means increasing distribution on desktop placements. With increased distribution, costs may lower. Facebook has brought out several new metrics to help publishers measure the impact of their videos. Publishers can now see metrics for minutes viewed by gender and age, as well as geographic locations. In each case, they can compare demographic engagement of a video to that of the typical video posted by that page. Publishers get a graphical view of engagement as it happens during a video. See at which points there are the most reactions, comments or shares. Publishers now have access to reports of views and minutes views from their original video from those connected to the page, versus those who viewed it from a share. Your profile picture no longer overlaps with your cover photo. So if you’ve done something creative that links the two, this is a heads up – your profile picture is now positioned on its own at the top left of the page. The cover photo dimensions are the same (828px x 315px) with the profile picture being square (160px x 160px). The page name and username are now underneath the profile photo instead of being an overlay on top of the cover photo. If you’re using the call-to-action button, it is now bigger, brighter and more prominent. Tabs now appear as a list of links down the left hand side. Overall, this design is much cleaner. Other items that were on the left side previously are now on the right. Facebook has also removed ads from the right side of pages. An exciting update: publishers can now create audiences of people who are most active on their websites. This was previously only available through the ads API, but some advertisers now have access via the Facebook Ads Manager interface. Download links in Power Editor and Ads Manager: One complaint from advertisers is not knowing how to find the lead once lead ads are running. They are otherwise buried within the Facebook page publisher tools. Download only new leads: Instead of having to download the entire file again, advertisers will now have the ability to download only the new leads captured during a specific date range. Lead ad custom audiences generated automatically: Facebook recently introduced lead ad custom audiences. These are brilliant, allowing advertisers to create audiences who have opened, submitted or opened but didn’t submit a form. But now these people will be generated automatically. 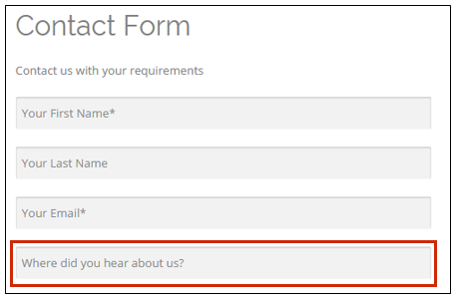 Scrollable forms: A user engaging with a lead ad form used to need to click multiple times before submitting. But now with the scrollable form, Facebook say this will result in an improved user experience and a higher conversion rate. Not all of these updates are available to everybody yet. But they will be soon!